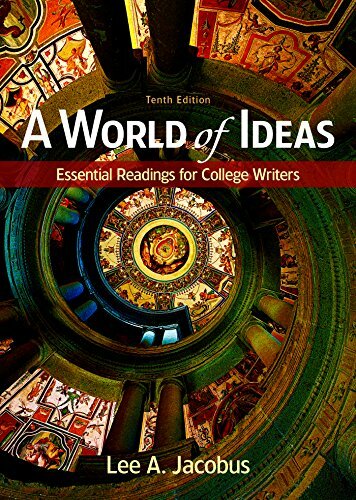 The most successful reader of its kind, A World of Ideas is ideal for composition instructors who want to introduce their students to some of the world's most important thinkers and their ideas: for example, Niccoló Machiavelli on government, Sigmund Freud on the mind, and Virginia Woolf on feminism. Because students perceive writers such as these as serious and important, they take the writing course more seriously: they learn to read more attentively, think more critically, and write more effectively. But more important, this may be a student's only opportunity to encounter these thinkers. No other composition reader offers a comparable collection of important readings along with the supportive apparatus students need to understand, analyze, and respond to them.